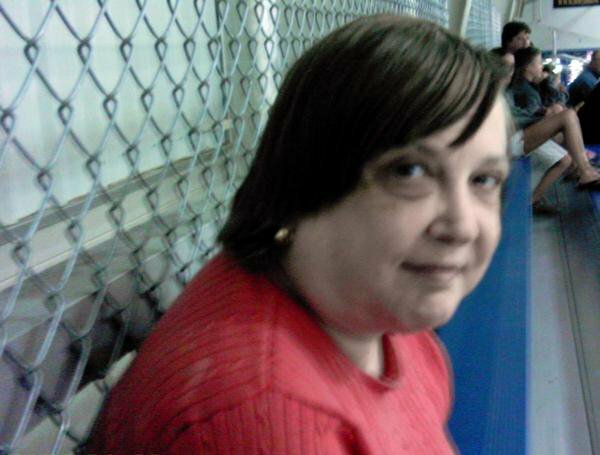 The shootings in CT made me think a lot about my mom and the state of mental heath care in America. My mother was never a violent paranoid schizophrenic but at the same time if we had better education and knew what was going on in her brain, maybe she would be here today. You see my Mom was diagnosed with paranoid schizophrenia in her early twenties at college so I am told. My great grandma also was blessed with this disease as well and I fear if I were to have a daughter that it would be her turn. I was lucky enough to make it through my twenties with it skipping me. When I was eight years old, I was at a private school in Warren, MI and I was left there because no one had picked me up. My mom was no where to be found and I was the last person to leave the school that day. This was my first taste of what this disease is. Up until I was able to drive my mom had disappeared at least twice. When I was born, she was actually in another hospital because they had hospitalized her and then I guess I was in a different one. I am not sure what happened there but that was what I was told. When I was able to drive and being a teen who happened to get into a few accidents. My Dad must have decided to not let my mother drive because soon after I was able to take care of myself my mom stopped driving. She was a stay at home mom and she was always there for me and my events but I never really told anyone about her disease. She hated Mt Clemens General because of their psych ward I remember. She had been in and out of there and Crittenton throughout my childhood. I remember her taking off to Pontiac once to escape home for whatever reason. I also remember the week before she died and was sick and because she had been relapsing we didn’t give her the credit she deserved. Do I blame myself for not listening to her? It is hard to phantom what you are thinking. She wound up dying of a Sepsis Infection probably from the cocktails of drugs she was on for decades, and other things on July 3, 2007. I am a child of a person who had a mental illness and so much is not known. We didn’t have great health care growing up and we still don’t understand the disease. We don’t have the education to make better choices when dealing with people who have such a serious illness. There isn’t anything to teach you on how to react or how to treat everyone as human as possible. When they are having a good day it is great but when the psychotic episodes happen you are very unsure what to do or how to react. This caused a lot of tension growing up. The shootings and the holidays have brought up all these questions about the mentally ill in our country. Being a child of a person who was mentally ill and knowing the episodes. No one knows how to treat this and education is the key so more kids who become adults can have a better understanding of their childhood and of their parents. I don’t think I ever told any of my friends about her disease growing up and I was always an outsider. I am not sure what combination of my childhood made me be the outsider I was. I had friends growing up and I sat at the table and everything but when they went places I was NOT invited. I do know I had a chance to date someone who was clinically manic depressed and I chose not too because I knew I could not handle another person being mentally ill. Growing up around it was enough education and I know that sounds bad but there is only so much a person can handle. This country needs a better understanding of the mentally ill and really a better health care system in general. But the mentally ill have been put to the side for decades and they really do need a voice. 2012, we have had too many suicides happen around the NFL and last year with the NHL. These are probably due to head injuries and whatever other conditions. I have had an acquaintance wind up killing his son (about five years old) and himself because of a divorce. These people have problems and they need help. We as a country need to find a way to teach everyone about these illnesses before someone gets hurt. Some are hereditary and some are conditional but everyone needs a proper education and children of parents with mental illness need a way to learn how to deal with the person so the family is more sound.